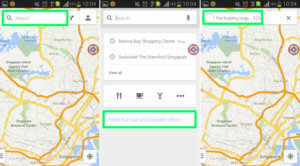 Google Maps: How to Use It Offline? Every journey has its unexpected elements, given some spice and flavor to the experience. But sometimes they can be a problem and more when we have a specific amount of time to accomplish our errands. When traveling to a new country, city or a city that you do not know, it is common to use the map in our mobile. Unfortunately, in my case something always happens and it stops working, maybe because of a poor signal coverage or no more MB in my career plan. This represents a major problem when traveling to places where you do not know the language, therefore you cannot ask for help. Someone has already thought about this and gave us a solution. Not only helping us solve our doubts, the world’s most famous search engine gives us the ability to download and use maps without data in the application. Make sure you have Google Maps and not another map application. 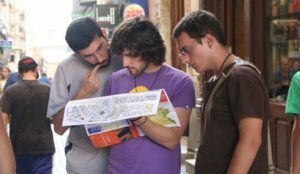 Decide your route and itinerary of everything you are going to do and places you want to visit. Connect to a Wi-Fi network to speed up the download process, or if you have a good coverage, use your data. Since you’re in the application, locate the main menu and select the “Areas offline” option. Choose where you are going to mobilize; be very specific when you select it, since the maps are limited. Before disconnecting your data or Wi-Fi, mark the points of departure and arrival. This way your maps will be saved in the memory of your phone. The Google Maps offline option has its limitations, it gives you the driving directions to get to a place, but not the public transportation, biking or walking options. You also can´t get the information about traffic, alternate routes, and last but not least, you cannot change the route. Now you won’t have to worry about your mobile data or poor career connection!